I am the Co-chair of 2018 Annual Conference on Software Analysis, Testing and Evolution (SATE 2018), please consider sending your work to this venue. I am the guest editor of Special Section on Safety and Security of System Software of IEEE Transactions on Reliability, please consider sending your work to this special section. 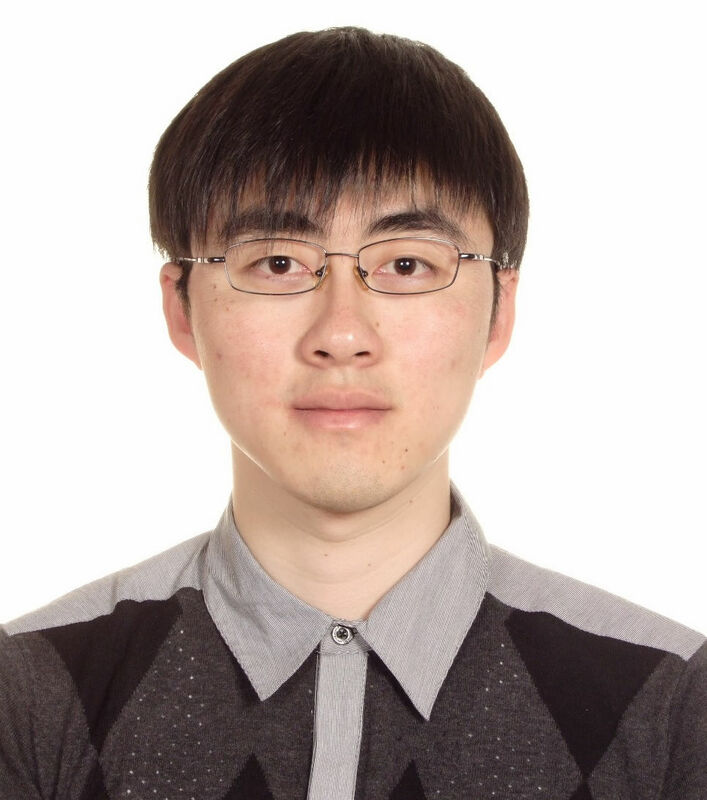 I am an Associate Professor in the Software Engineering Group led by Prof. Xuandong Li in Dept. of Computer Science and Technology, Nanjing University. I received my B. Sc. and Ph. D. degrees in computer science from Department of Computer Science and Technology, Nanjing University, China, in 2004 and 2010, respectively. I joined Department of Computer Science and Technology of Nanjing University in 2010 as an assistant professor. 12/2013-Present, Associate Professor, Department of Computer Science and Technology, Nanjing University, Nanjing, Jiangsu, P.R.China. 09/2014-03/2015, StarTrack Program Visiting Young Faculty, Software Analytics Group, Microsoft Research Asia, Beijing, P.R.China. 08/2010-12/2013, Assistant Professor, Department of Computer Science and Technology, Nanjing University, Nanjing, Jiangsu, P.R.China. 09/2007, Full Scholarship under the State Scholarship Fund by the China Scholarship Council (CSC). 09/2006-04/2010, Candidate for Doctoral degree in Computer Software and Theory, Department of Computer Science and Technology, Nanjing University, Nanjing, Jiangsu, P.R.China. Supervisor: Prof. Xuandong Li. 09/2007-09/2008, Visiting Student in Department of Computer Science, Carnegie Mellon University, Pittsburgh, PA, USA. Supervisor: Prof. Edmund M. Clarke. 02/2006-09/2006, Visiting Student in Department of Computer Science, University of Texas at Dallas, Richardson, TX, USA. Supervisor: Prof. W. Eric Wong. 09/2004-07/2006, Candidate for Master degree in Computer Software and Theory, Department of Computer Science & Technology, Nanjing University, Nanjing, Jiangsu, P.R.China. Supervisor: Prof. Xuandong Li. 09/2000-06/2004, Bachelor degree in Computer Science and Technology, Department of Computer Science & Technology, Nanjing University, Nanjing, Jiangsu, P.R.China. Supervisor: Prof. Xuandong Li. (Bounded) Reachability Analysis of Linear/Nonlinear Hybrid Automata. **In general, I am recruiting well motivated and dedicated Ph.D. / master students to do research in above-mentioned areas. Undergraduate students are also encouraged to contact me, to work on related topics. Lei Bu, Wen Xiong, Chieh-Jan Mike Liang, Shi Han, Dongmei Zhang, Shan Lin, and Xuandong Li. Systematically Ensuring The Confidence of Real Time Home Automation IoT Systems, ACM Transactions on Cyber-Physical Systems, To Appear. Dingbao Xie, Wen Xiong, Lei Bu, Xuandong Li. Deriving Unbounded Reachability Proof of Linear Hybrid Automata During Bounded Checking Procedure, IEEE Transactions on Computers, 66(3): 416-430, 2017. Xin Li, Yongjuan Liang, Hong Qian, Yi-Qi Hu, Lei Bu, Yang Yu, Xin Chen, and Xuandong Li. Symbolic Execution of Complex Program Driven by Machine Learning Based Constraint Solving, In Proceedings of 31st IEEE/ACM International Conference on Automated Software Engineering (ASE), 2016. Dingbao Xie, Lei Bu, Xuandong Li. Deriving Unbounded Proof of Linear Hybrid Automata From Bounded Verification, In Proceedings of Real-Time Systems Symposium (RTSS), pp.128-137, IEEE, 2014. Dingbao Xie, Lei Bu, Jianhua Zhao, Xuandong Li. SAT-LP-IIS Joint-directed Path-Oriented Bounded Reachability Analysis of Linear Hybrid Automata, In Formal Methods in System Design 45 (1), 42-62, 2014. Tao Li, Feng Tan, Qixin Wang, Lei Bu, Jiannong Cao, Xue Liu. From Offline toward Real Time: A Hybrid Systems Model Checking and CPS Codesign Approach for Medical Device Plug-and-Play Collaborations, In IEEE Transactions on Parallel and Distributed Systems 25 (3), 642-652, 2014. Lei Bu, Dingbao Xie. Formal Verification of Hybrid System, Journal of Software (in Chinese), 25(2), 219-233,2014. Lei Bu, Xuandong Li. Path-Oriented Bounded Reachability Analysis of Composed Linear Hybrid Systems, In International Journal on Software Tools for Technology Transfer, Volume 13, Number 4, pp.307-317, Springer. Lei Bu, Dingbao Xie, Xin Chen, Linzhang Wang, and Xuandong Li. Demo Abstract: BACHOL - Modeling and Verification of Cyber-Physical Systems Online. In Proceedings of The ACM/IEEE Third International Conference on Cyber-Physical Systems (ICCPS2012), pp.222, IEEE Computer Sciety, 2012. Lei Bu, Yang Yang, Xuandong Li. IIS-Guided DFS for Efficient Bounded Reachability Analysis of Linear Hybrid Automata. In Proceedings of Haifa Verification Conference (HVC 2011), Israel, Lecture Notes in Computer Science 7261, Springer, 2012, pp.35-49. Lei Bu, You Li, Linzhang Wang, Xin Chen and Xuandong Li. BACH 2: Bounded ReachAbility CHecker for Compositional Linear Hybrid Systems, In Proceedings of the 13th Design Automation & Test in Europe Conference (DATE 2010), Dresden, Germany, pp. 1512-1517, 2010. Lei Bu, You Li, Linzhang Wang and Xuandong Li. BACH: A Toolset for Bounded Reachability Analysis of Linear Hybrid Systems, Journal of Software (in Chinese), 22(4), 640-658,2011. Lei Bu, Jianhua Zhao and Xuandong Li. Path-Oriented Reachability Verification of a Class of Nonlinear Hybrid Automata Using Convex Programming, In Proceeding of the 11th International Conference on Verification, Model Checking, and Abstract Interpretation (VMCAI2010), Madrid, Spain, Lecture Notes in Computer Science 5944, Springer, pp.79-94, 2010. Minxue Pan, Lei Bu, and Xuandong Li. TASS: Timing Analyzer of Scenario-Based Specifications. In Proceedings of the 21th International Conference on Computer Aided Verification (CAV2009), France, 2009, Lecture Notes in Computer Science 5643, Springer, pp.689-695. Lei Bu, You Li, Linzhang Wang and Xuandong Li. BACH : Bounded ReachAbility CHecker for Linear Hybrid Automata. In Proceedings of the 8th International Conference on Formal Methods in Computer Aided Design(FMCAD2008). Portland, OR, USA, IEEE Computer Society Press, 2008, pp.65-68. Bidirectional DFS Based BMC of LHA. Sino-German Symposium on Formal Application of Train-Control System, Institute of Software, Beijing, September, 2012. BACH: Bounded Model Checker for LHA . Sino-German Symposium on Distributed Simulation and Computational System Biology. NUDT, Changsha, February, 2011.